to promote improvements in the administration of justice and to increase the quantity and quality of service and contribution which the legal profession renders to the community, State and nation. 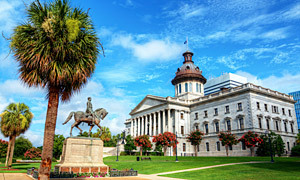 The South Carolina Defense Trial Attorneys' Association (SCDTAA) is committed to the goal of diversity in its membership. The SCDTAA recognizes the value of different perspectives and experiences which are found in a diverse membership. Diversity brings to any organization a broader and richer environment which produces creative thinking and solutions. As such, the SCDTAA embraces and encourages diversity in all aspects of its activities and is committed to creating and maintaining a culture that supports and promotes diversity.